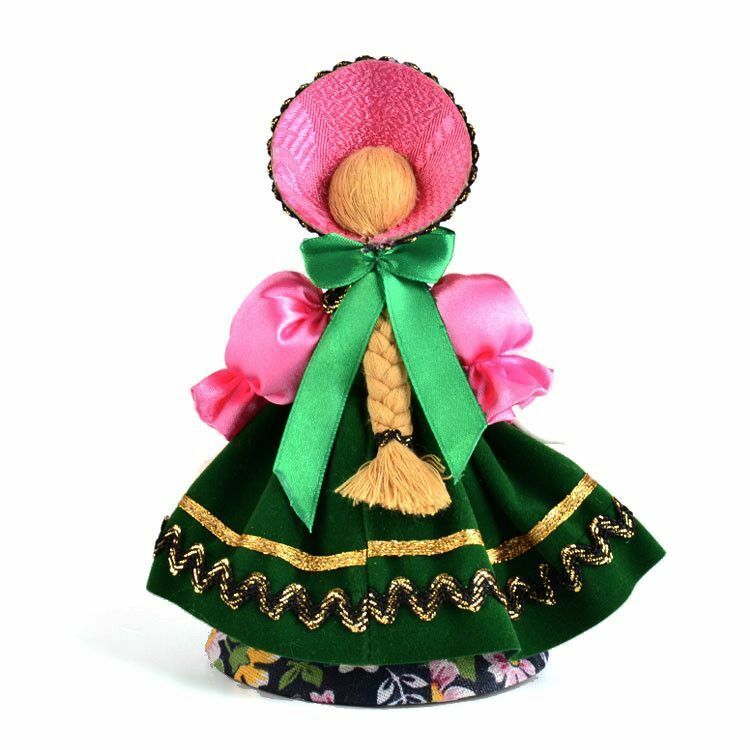 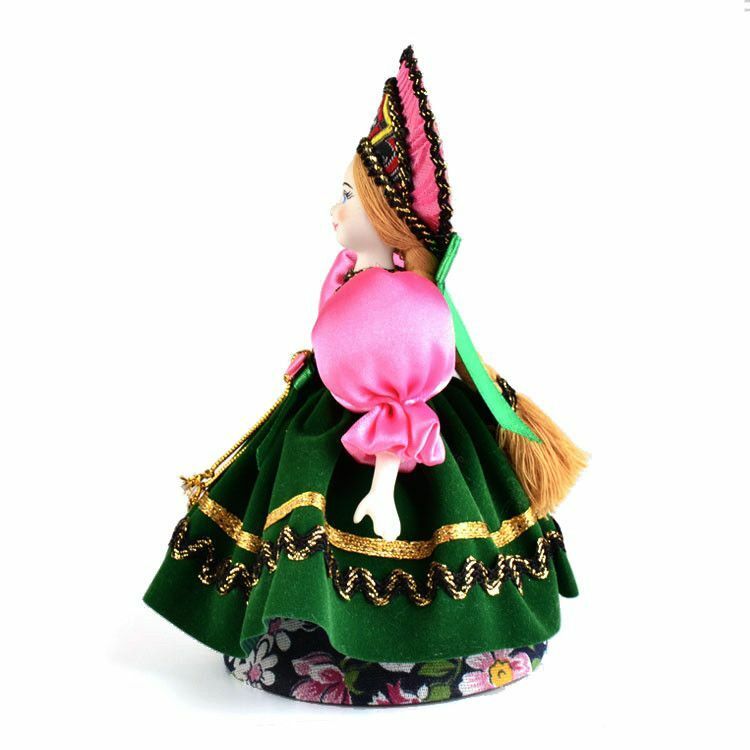 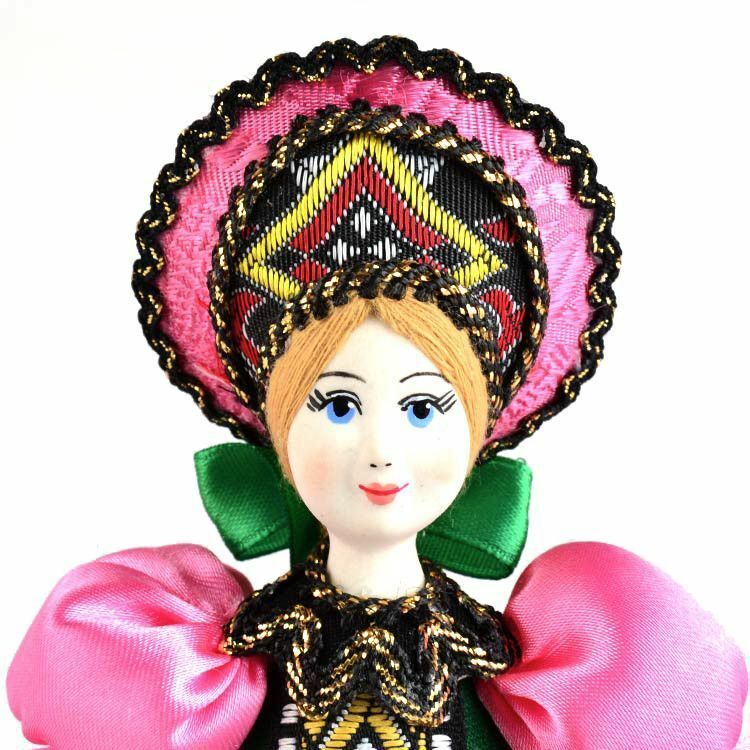 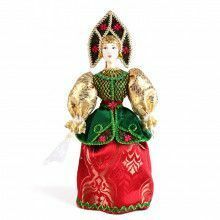 This hand crafted Russian doll features a green and pink festive dress with shiny gold trim and a colorful kokoshnik, inspired by royalty clothing from history. 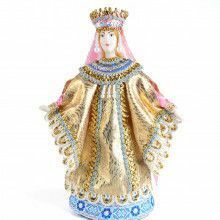 She has long, braided hair, porcelain hands, and a hand-painted porcelain face. 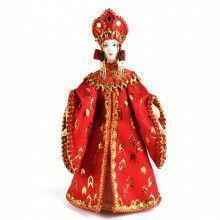 Approximately 7" tall and about 4" wide. 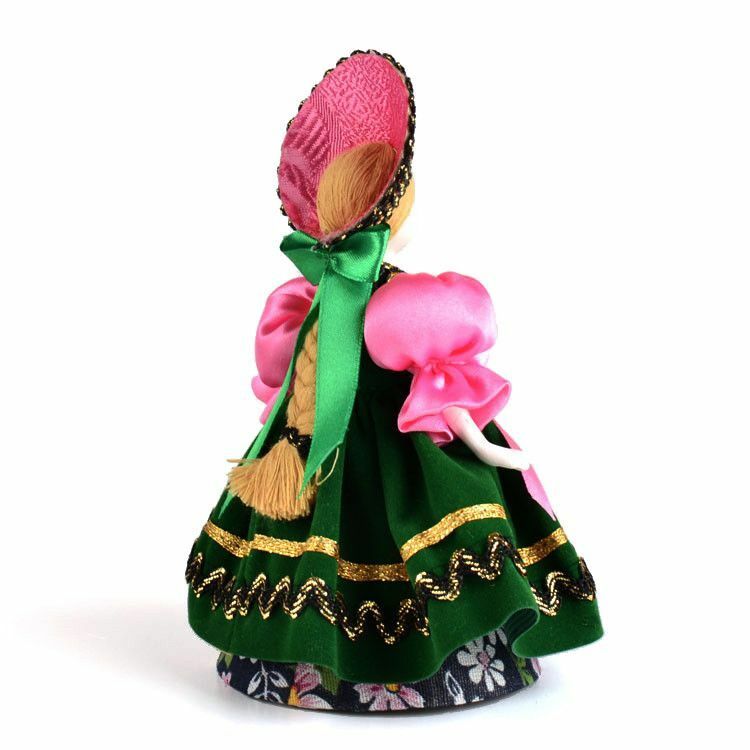 What a beautiful gift for someone who loves dolls!